"Running through the 6 with my WOAHs!" 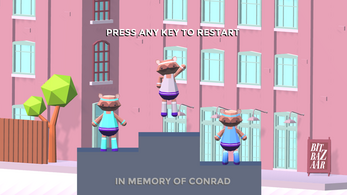 There's a problem, though — You've eaten far too much, your belly is too full, and you're too stuffed to jump! 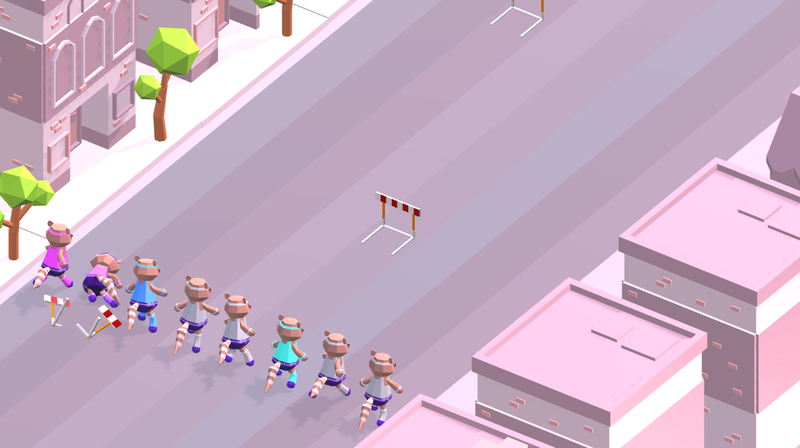 The only thing you can do is to use your joystick and swap positions with the runners adjacent to you and hope maybe they'll hit a hurdle and fall out of the race, leaving you safely in the lead: Winner! 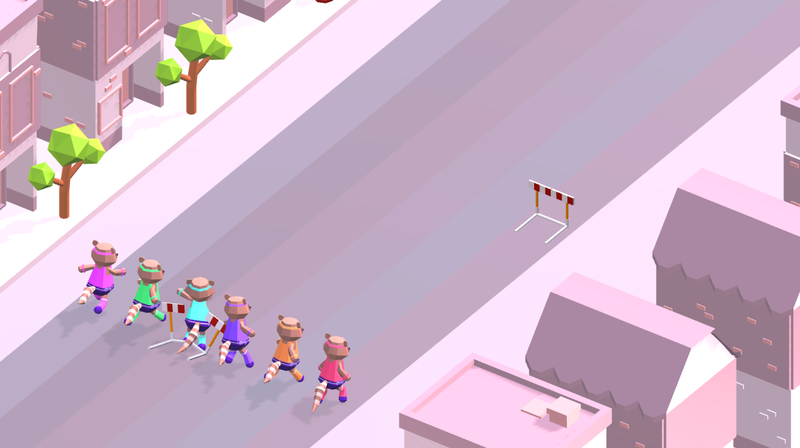 Gagnant! 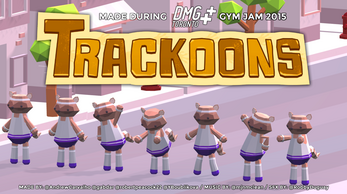 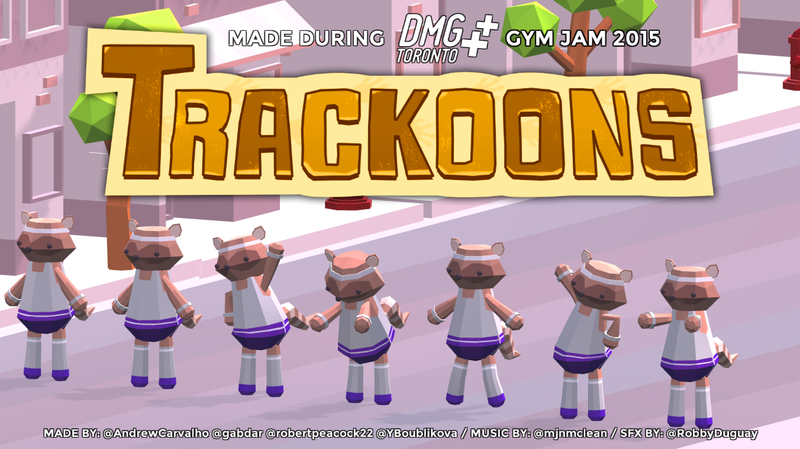 Trackoons was made as part of Dames Making Games' Gym Jam game jam in Spring 2015.